TORONTO, May 23, 2018	(Newswire.com) - Inolife R&D Inc. (“Inolife”), an emerging innovation leader in the development of needle-free injection devices, today announced the signing of a definitive agreement with Namaste Technologies Inc. (“Namaste”) to commercialize Inolife’s innovative needle-free technology in applications of medical cannabis. Namaste intends to produce medical cannabis oil specifically formulated for use with Inolife’s injector technology. In accordance with Health Canada regulations, Inolife and Namaste will develop standardized production procedures for oil production and in any testing or studies required in accordance with federal regulations to commercialize the technology in applications of medical cannabis. Specific dosing is one of the main impediments to adoption of medical cannabis in various therapeutic fields including Chronic Pain, Epilepsy, Diabetes, Parkinson, Alzheimer's and Multiple Sclerosis. Namaste shall have and retain exclusive rights to the procurement and or production of the oil required to meet the requirements and standards set out and outlined in the testing, studies, and evaluations of the products in accordance with Health Canada and/or any other regulatory agency requirements. During the term of the Agreement, further testing, studies, and evaluations may be required by a regulatory agency or a third party that may be interested in utilizing the needle-free injectors for the commercial use in the Medical Cannabis industry. During the term of the Agreement, Inolife and Namaste must agree on who will conduct the testing, studies, and evaluations of the needle-free injectors. The purpose of the testing, studies, and evaluations of the needle-free injectors shall be primarily to determine the method on how to best produce medical cannabis oil that would be suitable for needle-free injection. 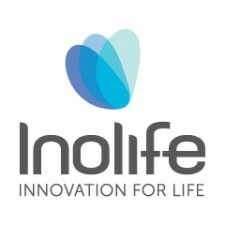 The Agreement shall extend to any and or future technology and implementations of the Inolife products such as needle-free injectors using Inolife’s powder based system. As part of the partnership with Namaste, Inolife also nominated Namaste’s CEO Sean Dollinger to Inolife’s Board of Directors. Namaste’s management team believes that Inolife’s needle-free technology can offer significant long-term value for the medical cannabis market. 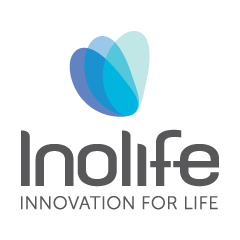 Sean Dollinger, President & CEO of Namaste comments, “We are pleased to have signed the definitive agreement with Inolife. The partnership between our two innovative companies will benefit patients and revolutionize the way that medical cannabis dosage is tracked, leading to better care." Namaste Technologies is a global leader in the sale of medical cannabis consumption devices. Namaste has nine offices with multiple distribution centers around the globe and operates over 30 websites under various brands. Namaste has developed innovative technology platforms including NamasteMD.com, Canada's first ACMPR compliant telemedicine application. The company is focused on patient acquisition through NamasteMD and intends on building Canada's largest database of medical cannabis patients. The company's subsidiary, CannMart Inc. is an ACMPR Licensed Producer with a "sales-only" license, whereby the company will offer a large variety of medical cannabis sourced from domestic and international producers. Namaste will continue to develop and acquire innovative technologies which will provide value to the Company and to its shareholders as well as to the broader cannabis market.